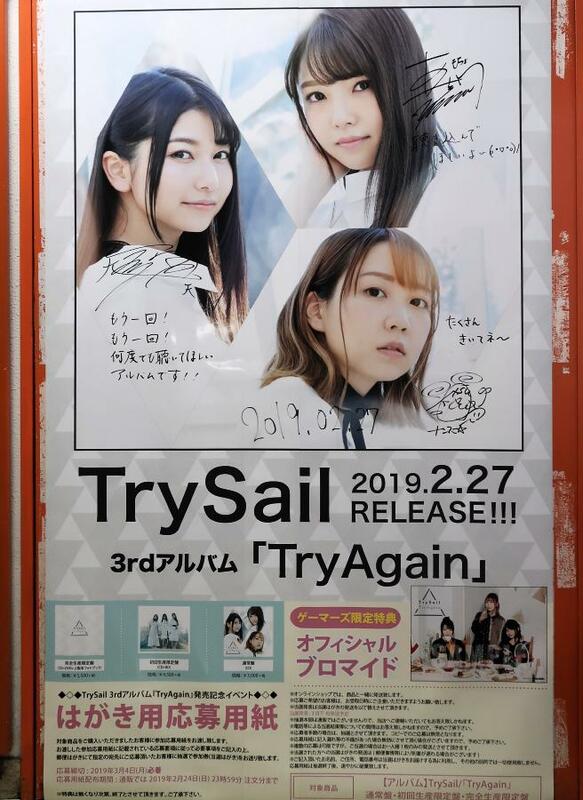 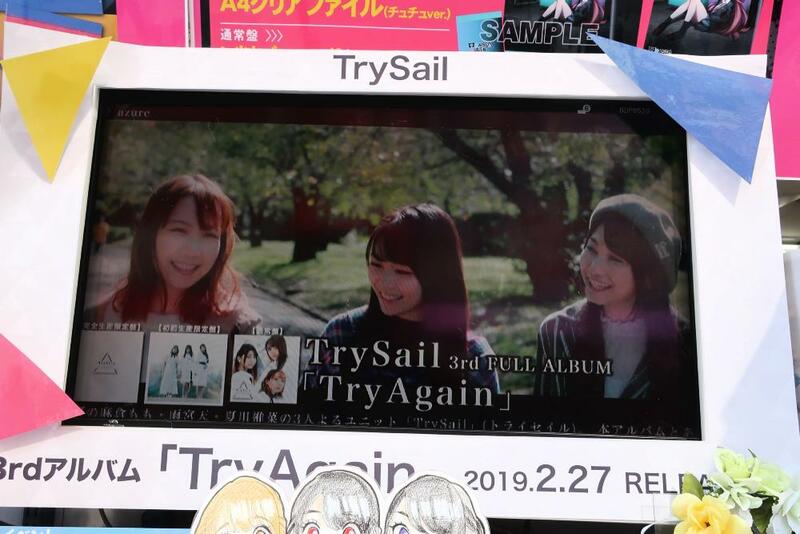 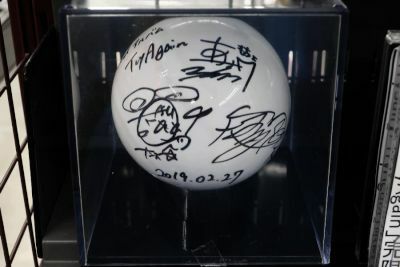 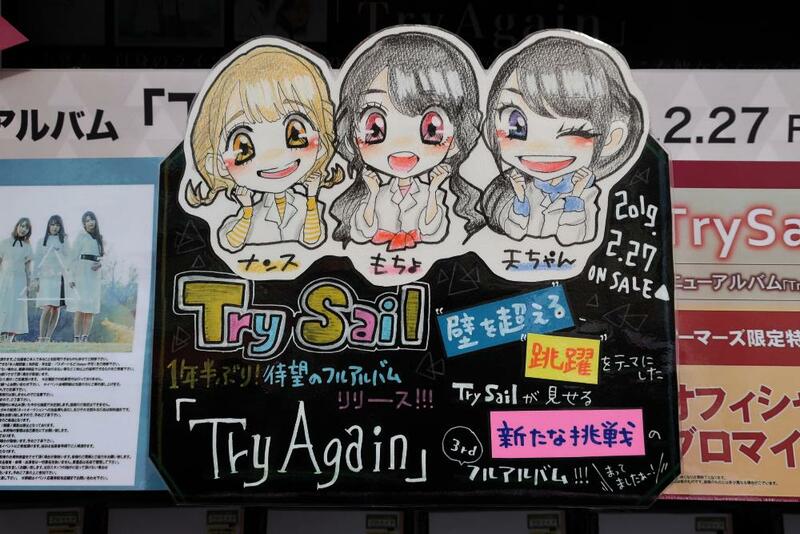 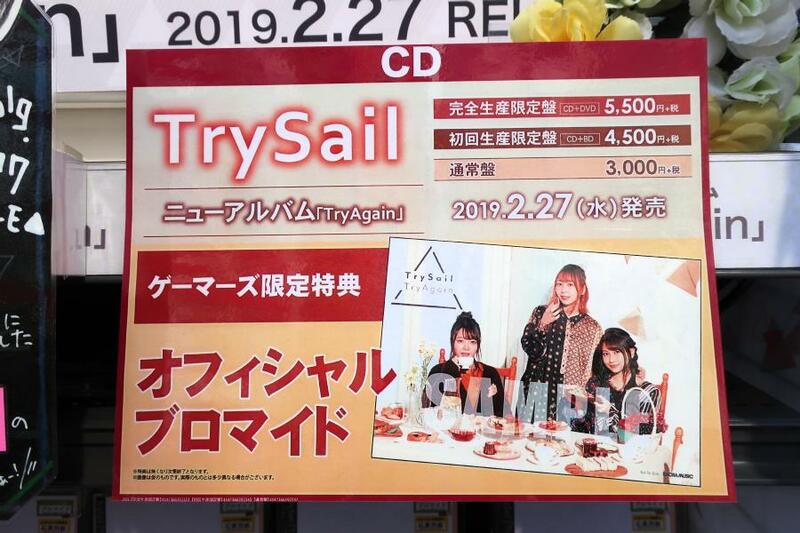 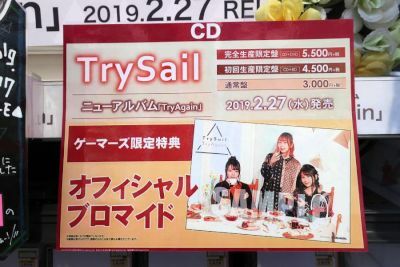 At the end of February and beginning of March 2019, there was a display at the front of Gamers for the latest album by the seiyuu group Try Sail. 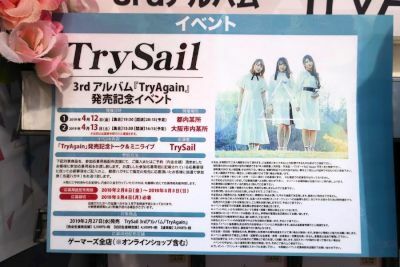 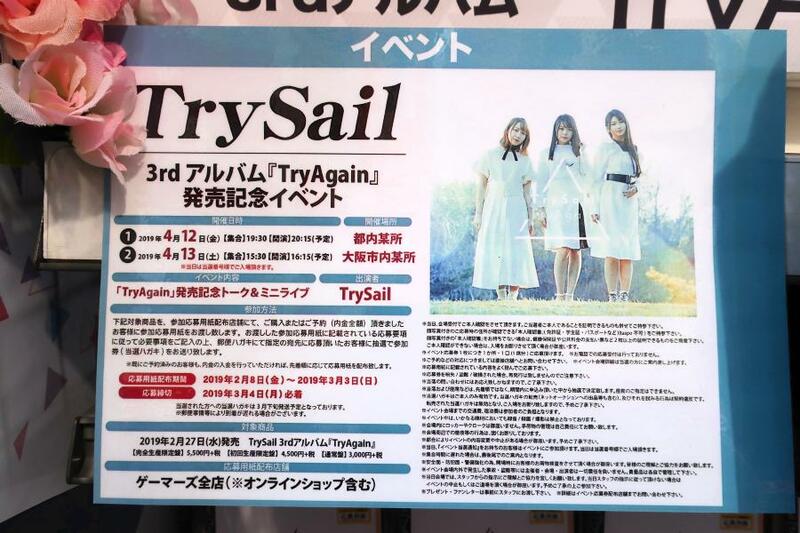 TrySail's third full album "Try Again" went on sale 2/27. 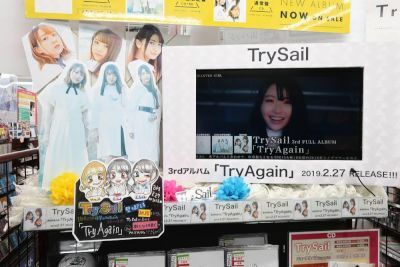 There was also a display on the 5th floor.